There is no easier way to generate a few extra bucks every month than selling your old stuff on eBay. While this has become a clichÃ© for most personal finance blogs, I still think this is one of the best way to gather a few extra dollars and put it down on your debt. Compared to the traditional garage sale, eBay is superior in terms of the time and effort required. You can also expect a higher price for more valuable or popular items. As many other of my fellow bloggers, I am earning a few bucks from my blogs and this helps me to pay off my debts. There is a very interesting article about how to start an online store here. The beauty of an online store is that you don’t need much to start with: a computer, internet access and a few rudimentary technical skills. If you don’t know much about programming and html code, you can always outsource this part using a forum such as SitePoint or Digital Point. You are good in English or know another language? You know something about computers or you can raise pets in a easy way? Use your talent and teach people. We all are good at something (just think about what your friends ask you to do for them), it is now time to structure your knowledge and offer it to the world. Some people can make quite a good income by tutoring. If you have access to a specific product, direct from the manufacturer or distributer, there is nothing stopping from you delivering the goods to people you know. Some companies are already structured this way but they often are known as multi level marketing companies (such as Mary Kay, Primerica or Goldstar). I am a bit divided about those companies but there is nothing stopping you from creating your own distribution network. For example, my wife is presently looking at distributing local fruit & vegetables in her neck of the woods. If it works, she will provide a good and healthy products to the neighbourhood and will make a few bucks on each delivery. Since most Americans concentrate on paying off their debt and saving money, they will definitely be reluctant to buy new stuff. Especially if they have the possibility to repair what they own already own, at a decent price. One of the best businesses right now is repairing computers. We all know that computers slow down, even stop once in a while. Sometimes, you just need to replace the computer fan ($15) and it runs like a new ;-). You can also repair cars or furniture according to your knowledge. This is perfect if you or your spouse stay at home. Even if you are currently unemployed for the moment, taking care of a few kids could be a nice way to keep your day busy (and your mind away from negative thoughts) while earning a few extra bucks. Since we are all moving towards a more frugal way of living, if you can find ways to improve frugality within your community, there is a big chance that your neighbours will follow and help your out. As I previously mentioned, my wife is trying to build a local product distribution system so we can all eat fresh, bio food. Hope it works! If you can afford to buy a tax software (such as TurboTax for example), you can surely pay for it quickly by doing a few tax forms. If you take simple cases (salaried individuals without anything fancy in their personal finance structure), you will surely do a great job and earn a few extra bucks in the meantime! What about you? Which one do you use? How do you multiply your sources of income? Have you ever tried to make more money? How did it go? I have an online business. I think it is a great way to make extra money from the comfort of your own home. Started delivering newspapers almost 3 years ago, thinking it would last about 6 months. And here I am…. Seriously, the only hard part is getting up every day at 3:30, which means going to be by 9, which cuts into my time with my wife. Well, that and having to find someone to cover for you when you need to take a day or a week off. Otherwise, the easiest money I’ve ever made, paid for a lot of stuff. Amazingly, even in this economy, there are always openings for more carriers. You would think that someone would do it for a year just to earn vacation money, if nothing else. Personally, I have started selling some of our books here at home on Amazon.com. Also, I am utilizing blogs with adsense and Amazon as a long term strategy. It’s not a lot, but it all ad’s ;-) i mean, ‘adds’ up over time. I also am a regular freelancer in addition to working full-time. If you are going to prepare taxes you have to be licensed tax preparer. Preparing tax return for money and not signing it as the preparer is illegal. Seems to me that you’d have the most success doing both. 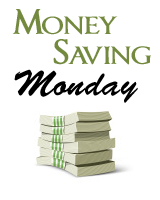 If you can make extra money AND cut expenses, that will get you to your goal sooner. @ Gholmes, thx for bringing this point. it is important to validate if you can fill taxes before doing it! @ Christine, you are right. However, I am really bad at cutting down in my expenses (it’s like I am much better at making money than not spending it!). Actually, whether you need a license depends on the state you live in. But it is correct that you have to sign any forms you prepare. Also, I would strongly advise against advice like starting a daycare. To get OKed by the state generally takes time, effort and money (licensing) and it pays pretty terribly, unless you’re cramming the place full of kids. I had a friend whose mom ran a day care and she didn’t make much at all. You need to have toys, you need to have snacks and you need to keep all of your information up to date and up to code. You can always watch people’s kids on the side. But if you watch more than one family’s kids consistently (and concurrently) you run the risk of getting fined for an unlicensed daycare center. A lot of states crack down on that sort of thing for obvious reasons. I’m an ice hockey referee. It’s great, pays between $17 and $25 per hour. The only drawback is that the “shifts” aren’t very long. Sometimes you’ll get back-to-back games and work for 3 or 4 hours. That makes it more worth-while. Love that extra income, though! I think doing a sideline job can be good, especially if you’re not looking to commit to a full-time thing. Nice thread. I like the monopoly picture. My two methods are cut expenses by not driving as much and buying fewer or cheaper groceries. 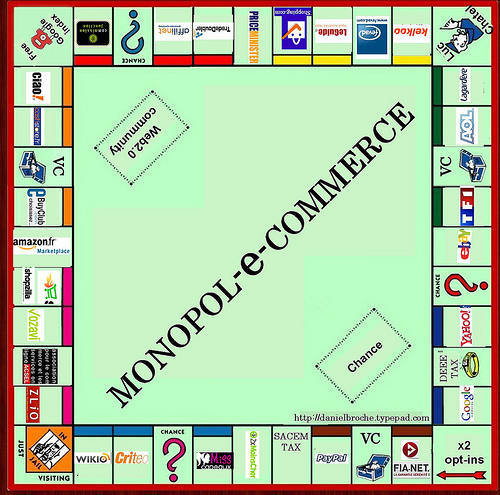 Oh man, yeah that Monopol-E-Commerce pic is awesome! Love it. Great tips too. I can not reiterate enough what a great side job teaching is. If you have something you are really passionate about, teaching it can turn into the greatest part of your week. I work about 7 hours a week teaching voice and piano at a nearby dance studio and I still can’t believe I get paid to do it. I also teach couponing classes and while I don’t charge much for it, the extra money towards those students loans always feels good! I usher at a local amphitheater for $8/hr (minimum $40 per show). I get to see 20+ concerts in the summer AND I have the best seats in the house (any seat I want; next to my posted spot that is). Always a good idea. I make pretty good money fixing things. One there is not enough business and two I hate being called a 2 AM. Also if you repair your own stuff you can save. Even i was struggling till 2009 after spending 8+years in corporate..and i’am shamelessly admitting that i was badly in debts. Then fortunately i came across the best opportunity (E-commerce business)..which i pursued along with my job till Aug 2010…and it was really awesome by spending 10-12 hours in a week for my parrallel work.By the grace of god…i’am pursuing it full time and i’am now investor rather than money saver. 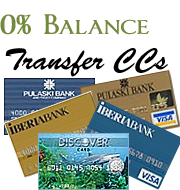 This opportunity is the best way to uplift any person who is struggling to meet the monthly expenses and struggling to save atleast decent amount in the end of month. I’am open to share further details personally if anyone is interested in looking at the project details once.